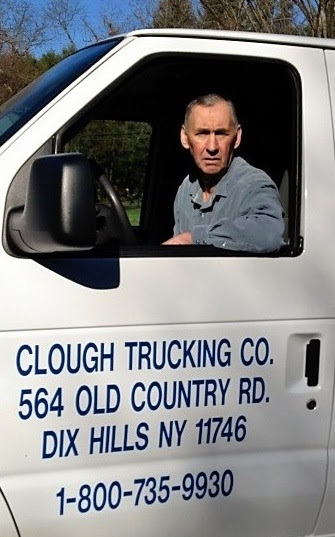 Clough Trucking is a family owned business founded in 1961 in New York City, and is owned and managed by Marie and Wayne Clough. We service every city and airport in the US by ground or by air. Our longtime familiarity with the Courier Service Industry has taught us many key strategies when handling time-sensitive parcels. There are many people involved in the handling and transporting of a package. We have a complete network of nationwide couriers and ground messengers that are able to get your package to its destination Across the Street or Across the Nation, on time and to your complete satisfaction. Our Same Day Nationwide Package Courier Service has been around longer than any other same day expediting company including the largest of them all and we think you know who we mean. Clough Trucking has enjoyed many trusted business relationships with many famous and successful advertising agencies, graphic designers, artists, electronics companies, printing companies, law firms, manufacturing companies, and rotary die companies. Our success is purely based on recommendations from our customers allowing us to enjoy decades of positive business history in customized shipping solutions. Wayne is a former Marine 1961-1965 and is an avid hunter and fisherman and father to their four children and grandfather to their five grandchildren. Wayne was a Chief Cook in the Marines. Both Marie and Wayne have dedicated their lives to their business, providing the best solutions and service for your same day and rush delivery needs. They developed a nationwide network of couriers and shipping contacts, and their in-depth experience allows them to provide you with fast answers so there is no time lost for time sensitive shipping emergencies. Large, high volume couriers, and small less experienced couriers, cannot respond as quickly as Marie and Wayne. Providing you with the fastest shipping solutions and getting your package to its destination in the shortest amount of time is our ultimate goal every time! We are extremely committed to the business and are here to answer your call 24/7/365. Each delivery is handled and overseen personally by one of the two owners. No matter what time of the day or night you need service we will be ready to help you. You will always reach someone knowledgeable and experienced. We are a team that is totally committed to our customers and their needs. Our company being certified by the Transportation Security Administration (TSA), as an Indirect Air Carrier (IAC), means we can provide our customers with the most flexible and fastest delivery options. An Indirect Air Carrier must re-apply to the TSA each year for IAC status in order to continue to transport packages by using the services of a passenger air carrier. Current updated information must be provided annually, in order to be in good standing with the TSA. Our business offices are visited by the TSA several times a year for official inspections and compliance checks. Clough Trucking Company was one of the first companies in the USA to obtain TSA Certified Indirect Air Carrier status in 1994. This is our 24th year of compliance.